A complete organizational managing package with open source ERP, Accounting and CRM applications for small and medium scale enterprises. It gives you free user registration, demos and trial offers, to get familiar with the system. 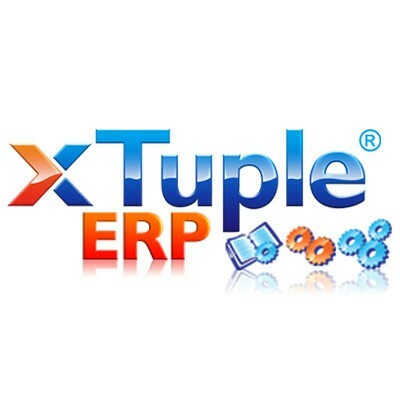 Open Source ERP XTuple features - full accounting with general ledger, accounts payable and receivable, bank reconciliation; fully intergrated CRM with to-do-list, address book, incidents, projects and vendors; customized reporting system and stable integrated database. xTuple is an Enterprise Software company, author of three products branded under the name xTuple ERP. The PostBooks Edition of xTuple ERP is a Free and Open Source Software (FOSS) application, available for download from SourceForge on the PostBooks project page. The Standard and Manufacturing Editions are commercially licensed Enterprise resource planning solutions. All three products are built on the same Open source technology foundation, and share the same code base. The Standard and Manufacturing Editions have more functionality for larger companies and those companies needing more manufacturing capabilities.